Sorry, Toronto Maple Leafs fans, but the headline says it all. Following the Leafs 6-2 loss last Monday to the league-leading Tampa Bay Lightning, Dave Feschuk of the Toronto Star reported they had a record of 7-14-1 against this season’s top-10 defensive clubs. That loss to the Lightning occurred during a week where the Leafs dropped three of four games while giving 23 goals. Two of those losses came to non-contenders, one of whom (Ottawa Senators) is the worst team in the league. In the upcoming Stanley Cup playoffs, the Leafs will likely face the Bruins – one of those top-10 defensive clubs – in the opening round. They eliminated Toronto from the opening round of last year’s postseason and beat them in three of four matchups this season. Yes, the Leafs are a better club than they were a year ago. So are the Bruins. Even if the Leafs defeat the Bruins, their next opponent will likely be the powerhouse Lightning, another of those top-10 defensive teams. That doesn’t bode well for Toronto’s chances of ending their 52-year Stanley Cup drought. To be fair, the flu has reportedly ravaged the Leafs’ lineup of late, which would explain in part their sub-par performances last week. Having regular defensemen Jake Gardiner and Travis Dermott on the sidelines also doesn’t help their blueline depth. Gardiner is often unappreciated by Leafs fans, who made him the scapegoat for last spring’s Game 7 playoff meltdown against Boston. While his defensive play can be questionable, there’s no doubt they miss his puck-moving abilities right now. A month before the trade deadline, the Leafs acquired Jake Muzzin from the Los Angeles Kings. While he provides experienced depth and skill on the left side, he cannot fix that yawning lack of depth on the right side, currently patrolled by Ron Hainsey, Nikita Zaitsev, and Igor Ozhiganov or Justin Holl. Hainsey, 37, is a dependable veteran blueliner. At this stage in his career, however, he shouldn’t be logging top-pairing minutes. That’s as true now as it was a year ago. Zaitsev remains defensively suspect. Hockey Night in Canada’s Don Cherry considers him a forward masquerading as a defenseman. Ozhiganov is a 26-year-old Russian rookie who’s never skated in the Stanley Cup playoffs before. Holl, 27, is a minor-leaguer with all of eight NHL games under his belt. Ah, but anything can happen in the playoffs and upsets can happen, right? Expecting the Leafs’ overmatched right-side defenders to magically overcome their weaknesses through the grueling four-series, two-month slog that is the Stanley Cup playoffs is a recipe for disappointment. But the goaltending of Frederik Andersen will bail them out, just like he’s done all year long, right? Andersen’s a terrific goaltender but he’s also among the league’s busiest this season. That was also the case in 2017-18, and when the playoffs rolled around, Andersen seemed to have little left in the tank. He gave up 23 goals in seven games, including five in the opening game against the Bruins and six in the final one. Yes, Andersen could bail them out, but he’ll have to elevate his game to previously unknown heights to offset his porous blueline. This is a problem that stretches back to last season, one that’s gone largely unaddressed and will remain so until after the playoffs. Even then, they probably won’t have the salary-cap space to give the problem the attention it deserves. Not when leading scorer Mitch Marner is due to receive a hefty raise, while restricted free agent forwards Kasperi Kapanen and Andreas Johnsson will also seek a bump in pay. Hainsey and Gardiner could also depart this summer via unrestricted free agency. General manager Kyle Dubas will have to get creative to re-sign or replace those two. That could mean trading one of their high-salaried forwards not named Matthews, Marner or John Tavares. Yes, Dubas said he wouldn’t trade William Nylander as long as he was in charge, but he wouldn’t be the first GM in NHL history to change his mind about one of his supposed untouchables. The lack of quality defense, especially on the right side of their blueline, derailed the Leafs in last year’s playoffs. Barring a Conn Smythe Trophy effort by Andersen, it’ll do so again this season. And unless they can find a way to free up sufficient salary-cap room to bolster their right side this summer, it’ll derail them next year, too. As a non leafs fan I hope they do everything you say. x2 on that one chrisms. Holy crap! Agree with this article in its entirety. Leafs wont even make it to a fifth game in this years playoffs! Tough time to be Leafs fan – Even Lyle Richardson’s piling on. Oh well, warmer days ahead. Go Leafs! Agree with Lyle with everything and I’ll add to it. Matthews keeps criticizing the team to media and they should be criticized but not by someone who has been part of the problem. As pointed out by HNIC analysts he is losing dozens of defensive zone face offs clean, which leads to a10-12 second possession by opposition and then they get scored on. Matthews has been playing on the periphery waiting for his line mates to get pucks for him and pay the price, a price he chooses not to pay. Nylander is having a good time figure skating chit chatting with opponents and paying compliments to goalies after they make good saves. Two big contracts and they are as soft as Kraft extra large marshmellows. As a team they are all over the place out of position, fishing for pucks like a bunch of middle aged men playing in a beer hockey league. No one wants to pay the price. There is no sense of embarrassment. 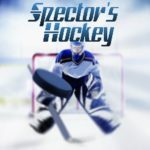 Is Babcock capable of doing his job? As a diehard Bruins fan, I say not so fast in burying the Leafs. Come playoffs all bets off the table on which team(s) will advance …… and a Babcock coached team should not be easily dismissed. As i said previous i think they have to trade Nylander for a d-man. Could be Leddy to replace Gardiner, may be Sanheim(+Hägg/prospects) if available or one of the hurricanes d-men. I’d even consider trading Matthews when the return is good. Looking at previous cup winners shows that a team cannot have to many big contracts if they want to win the cup. And i don’t think that Matthews is in the same category as McDavid or Crosby. And just looking at his stats (ppg) he’s not worth his cap (at least not yet).